The care of the elderly requires constant attention to physical, emotional, and social well-being. When you place your loved one in the care of a nursing home, you trust that your loved ones are being attended to with meticulous attention to all nutritional, medical, and psychological needs. Unfortunately, due to overcapacity and understaffing of many nursing homes, patients continue to suffer neglect and even abuse while under the supervision of nursing homes. At The Orlow Firm, our attorneys have experience representing the victims and families of nursing home abuse and neglect. Abuse and neglect while under the care of a nursing home facility can be catastrophic, even fatal. If your loved one has suffered, assert your rights to prevent future abuse. Many nursing home patients are unable to move without assistance and require attention and assistance with movement to prevent painful and dangerous bed sores. When a nursing home facility fails to properly manage and care for patients, consequences can be life altering, even fatal. If you or your loved one has suffered from nursing home abuse or neglect, please contact our attorneys as soon as possible. We will collect the necessary evidence for your case, including medical documentation, witness statements, and expert opinions. It is critical to obtain evidence as soon as possible to preserve its integrity and ensure that it is available for trial. Our attorneys will take every necessary step to ensure your success in or out of the courtroom. At The Orlow Firm, we are aggressive advocates on behalf of nursing home abuse and negligence victims and families. We will strive to see you and your family compensated for any injuries you have suffered. If your loved one has been injured because of nursing home abuse or negligence, you may have a legal claim. Our qualified and experienced lawyers offer a confidential and honest assessment of your case. 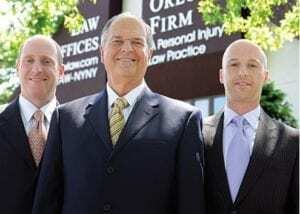 Contact Queens nursing home abuse attorneys at The Orlow Firm for a free consultation regarding your amputation case. Our lawyers will handle all aspects of your case to protect your rights. We will come to you if you cannot come to us.